I grew up in the company of ‘creators’ — family members who can turn pantry scraps into cosy meals, plain dishes into coveted heirloom recipes. Put a chef in the kitchen and magical things can happen! But while I’m all for reinventing the familiar and breaking the conventions, there is really nothing quite like the old-fashioned classics that comfort and unfold memories. That is why this year, we are celebrating our favourite time of the year with A Feast Of Traditions! In the curation of our Christmas menu, I dabbled a lot in my home kitchen, recreating festive table scenes that made such indelible impressions on me. 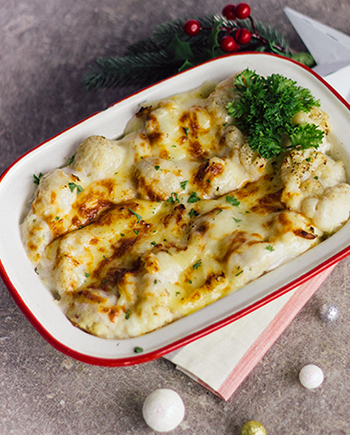 I remembered eating creamy, comforting Cauliflower Cheese Gratin at a friend’s Christmas gathering and unabashedly scraping off crusty cheese bits at the corners — that’s the best part! 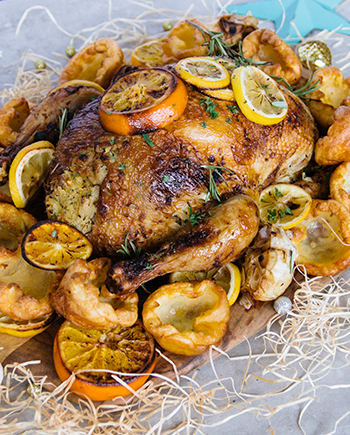 Then there was one year when my husband and I roasted a chicken so perfectly golden and juicy my beef-loving kids decided it was worth getting their hands greasy. We spent the evening in fellowship with unglamourous grease-stained lips but who’s judging? I don’t bake as much as I cook but it’s hard to forget the unadulterated joy of digging into a cookie jar and packing trays of fresh bakes as Christmas gifts. The children wrote on stickers and stuck them all crooked, but I thought that was charming! And what’s Christmas without our very own traditions — Christmas SouperChef Specials! This holiday season, may our balance of treasured traditions with The Soup Spoon’s signature touch of innovation indulge and impress. 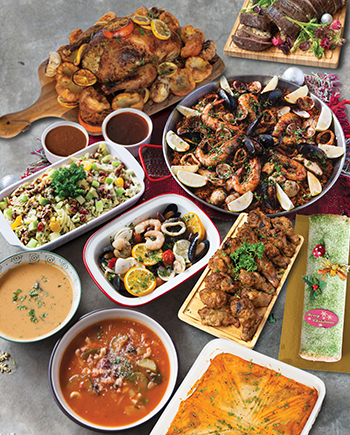 Whether you choose to gather at home or celebrate in our stores, we know this will be a spread worthy of the holidays! Enjoy our various Christmas promotions and from us all at The Soup Spoon, have a merry, blessed and bright Christmas!